This video is from HighImpactVlogs, who used to be HighImpactFlix (until he got banned from YouTube, I believe). And it shows how this “event” appears to be a non-event. CNN’s own statements and the video they show demonstrate this. I like to remember that essentially all of these “shootings”, etc., “events” are false flags. Many are used to push an agenda (gun control, anyone?) or to distract from other things being put out by the Alliance. 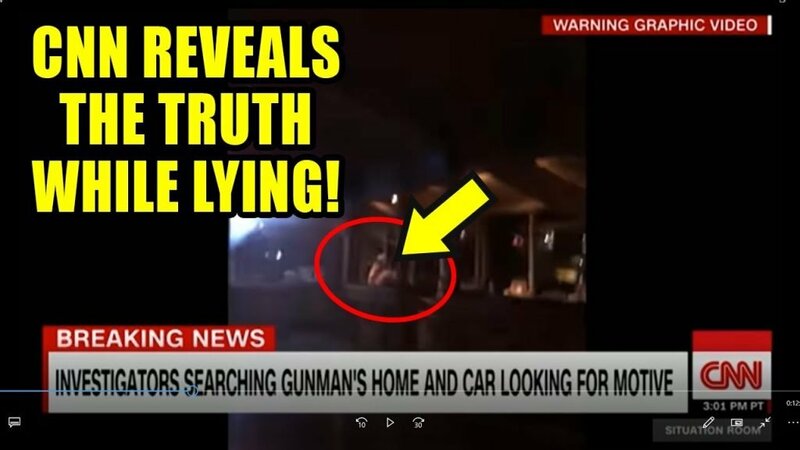 That does not always mean no one was hurt, but in this case, from the CNN video, it appears no one was hurt or shot. Anyway, another example of (so-called) msm BS. There was not a sheriff that got shot? He was a character? The community staged a large funeral and there was no sheriff that died? The wife was an actor as well? All the crying and I do not react and I am an empath, so I wondered if they could be actors. Could a whole department be in on it? I don’t see how it could be. Do you think no one died? Seems like people in Thousand oaks would know if this didn’t happen. This shooting with 12 dead was for real. I saw it on TV and newspaper stories. News conferences gave all details and information. I disagree with your story. Exactly the point of this article, because Main Stream Media says is true does’n make it so…unless you were present at the place & time of the shooting and witnessed it with your very own eyes of course.